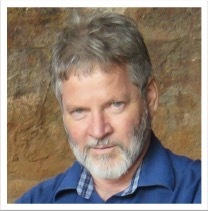 Published recently in the African Journal of Range and Forage Science, Professor David Morris has researched the fascinating subject of early human settlements in the so-called “untouched, pristine and wide open” typically characterised Karoo landscapes. “The human footprint is relatively diffuse across this region, compared with other places, but it is clear that the Karoo is not an “untouched” landscape. Socially and historically, as well as environmentally, the changes of the last 300 years have been dramatic. This article looks to the evidence of human life and land-use patterns in the Karoo landscapes from the deep past.